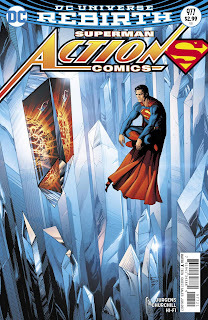 The Geektified Blog: Comic Book Review: Action Comics #977 "The New World, Pt. 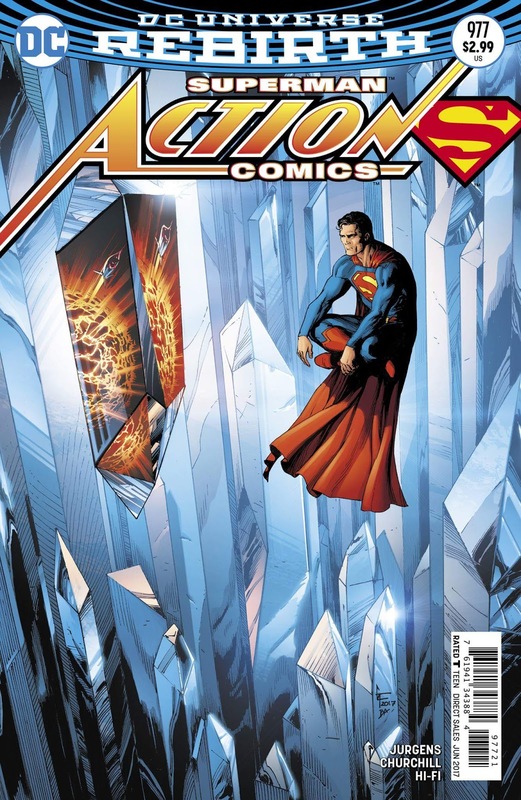 1"
Comic Book Review: Action Comics #977 "The New World, Pt. 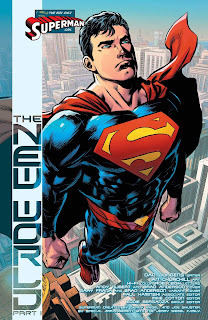 1"
So begins a new story arc in the life of Superman and one that stands to turn the DC universe on its head in Rebirth. 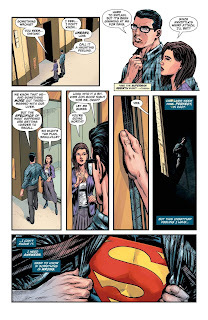 The previous 4 part story line entitled, Superman Reborn which crossed over from both Action Comics and Superman titles began this new mystery in the Rebirth mythos as the universe’s of Pre-Flashpoint and New 52 combined to bring new awareness to Superman and Lois. 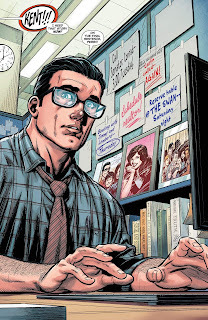 Mr. Myxztplk, doing his best impression of Mickey Rourke/Harry Angel in the movie, Angel Heart, turned himself into Superman’s alter ego, Clark Kent and then cast a spell on himself to forget who he really was. Why? 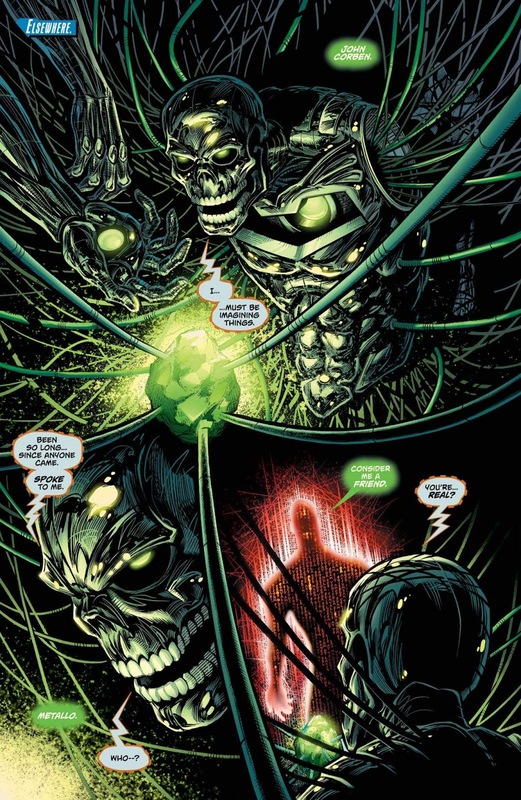 It was all an elaborate plan of revenge against Superman for forgetting him. Mr Myxztplk believed in some warped way that he and Superman were good friends. A mysterious stranger known only as, “Mr. 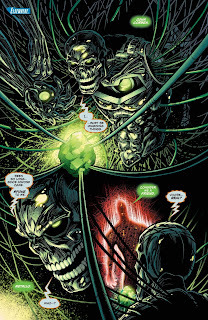 Oz” imprisoned Mr. Myxztplk after concluding that Myx was too dangerous to be in Superman’s life. Thinking that Superman would come to his rescue once he realized that he was gone. When enough time had passed and Myx realized Superman wasn’t coming, he got angry, swore revenge and escaped. 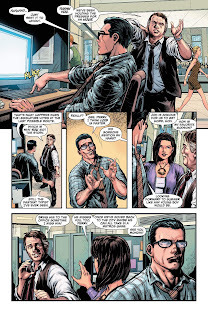 During the battle with Mr. Myxztplk to save their son, Jon, the essence of Pre-Flashpoint Superman and Lois merge with the New 52 incarnations, creating an altogether new Rebirth Lois and Superman. The Verdict: If you are in anyway interested in the mysteries of Rebirth, then you can’t miss this issue as the repercussions of last issue begin to be felt here in “The New World” story arc. 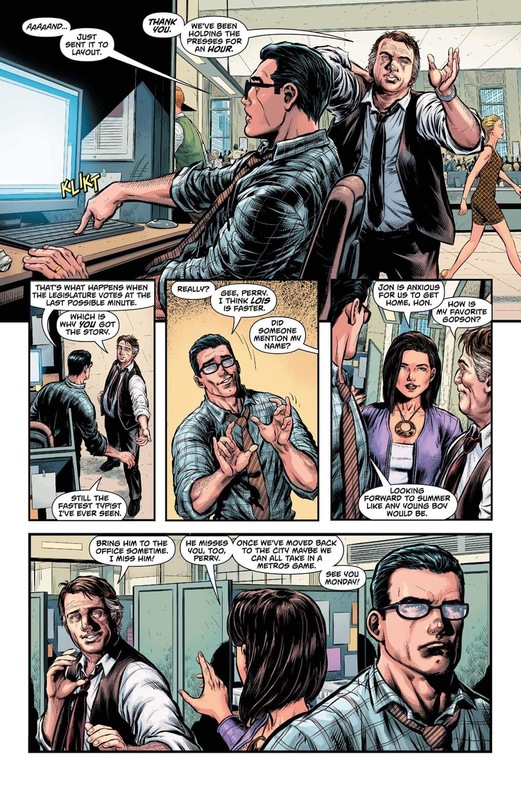 Superman is becoming aware of missing time and missing history, just as Batman and the Flash have from the beginning. You can either view this issue as an aftermath or an origin issue as there’s plenty of new directions about to careen off this one! It’s a good starting point if you’re a new reader to Action Comics and Rebirth as this is just the beginning for those mysteries to be laid open. Long time writer Dan Jurgens is doing a great job in his scripting and probably knows the most about the Man of Steel than anybody. Artist Ian Churchill’s work is reminiscent of classic Action Comics and will not disappoint. With the coming reveal of Rebirth and the crossover into the Watchmen universe, this one is a can’t miss.